We think it’s important that you understand how we will work together so any services we agree to provide to you will be detailed in a proposal and, while we have listed some important information below, our full terms and conditions are also here. All work under £500 is required to be paid for in advance. Projects of more than £500 will start once a 50% deposit is received. When a project is complete and ready to go live, the balance is due. Once this is paid, the project goes live. We will never add extras without your full acceptance and will always do our best to allow for all work in the original quote. At the start of any project we will request information that enables us to do the work – this needs to be provided promptly so that your expected completion date can be achieved. Occasionally we use the services of others, highly-competent and trustworthy – this means we can complete work in a timely and professional fashion. If you cancel the project once work is underway, your deposit goes towards work completed so far and so is unlikely to be refunded. Obviously things happen, so please let us know if there is a problem or need to stop the project, as soon as you can. If we have not started the project, we can refund you. Hosting: we run a dedicated server via EZPZ Hosting that only hosts Blogmistress clients. Queries are dealt with initially by us so that we can provide the personal service you prefer. We monitor the customer service level at EZPZ and should we consider another host provider to be more reliable or helpful, we will make plans to move, keeping you updated through the process. 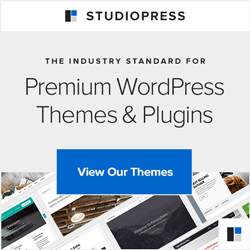 Standard hosting charges are £75 per year paid in advance and this includes for updates to any themes and plugins installed by us, as well as to WordPress itself. Should hosting need to be cancelled, we then adjust your hosting fee to the equivalent of £10 per month – this allows for the additional administration necessary. So, as an example, you only want hosting for 2 months after the renewal is due – this would be charged at £20. Transfer fees are not charged unless you require us to action any part of the transfer, in which case this will be charged at a rate of £50 per hour for however long it takes.